Looking for a pair of quality headphones? Amazon has the top-rated Bose QuietComfort 25 headphones on sale for $159. That’s a $140 price cut for the noise canceling headphones that are compatible with Apple devices. 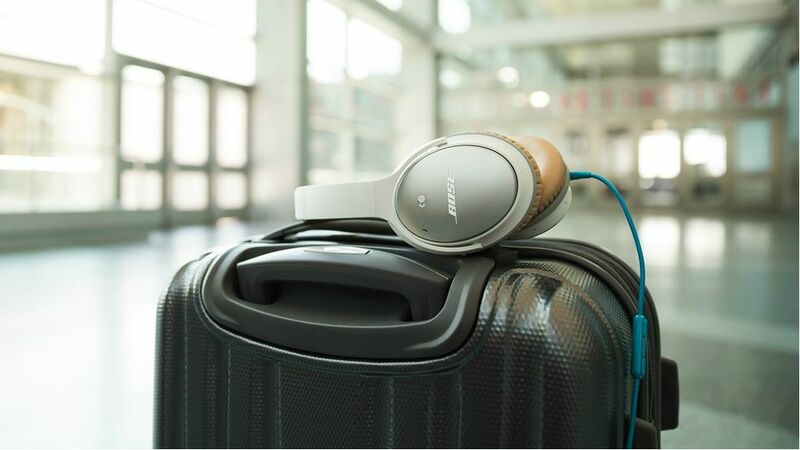 The QuietComfort headphones from Bose provide a deep and powerful sound while also featuring advanced noise reduction technology, resulting in the perfect headphones for travel, a busy office or anywhere else you want to block out the noise. The lightweight headphones also offer a comfortable around-ear fit with pillow-like cushions that provide all-day comfort. Another feature that makes these headphones perfect for travel is the battery. Because the headphones are wired, you can still enjoy listening to music once the AAA battery runs out (without noise cancellation). The Bose headphones are compatible with Apple devices and allow you to control your music and calls on your phone with the inline mic and remote. Not an Apple user? Amazon also has the Bose QuietComfort 25 headphones for Android devices on sale for $159.